In early 2015, we were thrilled to announce an inspiring new venture for World Animal Day by welcoming Susan Richardson as our poet-in-residence. Susan is a Wales-based poet, performer and educator who specialises in wildlife conservation and other environmental issues. When she was six years old, she was asked the usual question about what she’d like to be when she grew up. 'I want to travel round the world and write about animals,' she immediately replied. Her passion for animals and the wider natural world has been the driving force in her writing ever since, from her Arctic-themed first collection of poetry, 'Creatures of the Intertidal Zone' (2007), to her third collection, 'skindancing' (2015), which is themed around human-animal shapeshifting and explores both our intimacy with, and alienation from, the wild and our animals selves. Her fourth collection of poetry, 'Words the Turtle Taught Me', focusing on endangered marine species, will be published in 2018. She is also an ardent believer in the potential of poetry to make a difference, to inspire shifts in perception and create new patterns of thought and experience. As an educator, she has more than eighteen years’ experience of coaxing people of all ages and backgrounds to engage with wildlife conservation issues through poetry in an imaginative and dynamic way. Most recently, she enjoyed a three-year poetry residency with the Marine Conservation Society, writing poems, and running workshops, for their Thirty Threatened Species project, and is currently also poet-in-residence with the British Animal Studies Network. 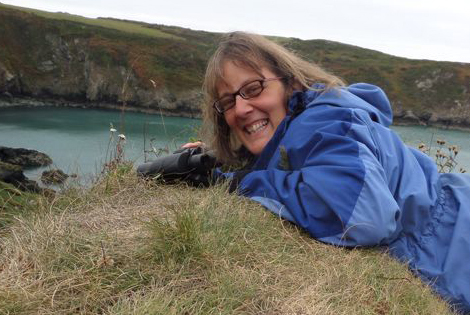 Susan has performed her work at literary, environmental and science festivals throughout the UK, for organisations such as WWF and Friends of the Earth, on BBC2, and at Universities both nationally and internationally. She is the co-founder and poetry editor of 'Zoomorphic', the online literary journal that publishes writing in celebration and defence of wild animals, and a Fellow of the International League of Conservation Writers. She also fulfilled a four-year stint as one of the resident poets on BBC Radio 4’s Saturday Live, and aims, with every performance, to spread the wildlife conservation message as far and wide as possible. Now, as poet-in-residence for World Animal Day, Susan is helping to generate awareness of, and support for, this special global initiative. Each year, she is commissioned to write an animal-themed poem, which is always unveiled, circulated and performed on World Animal Day itself.